--Bake till its done, which depends on the size and thickness of your chicken breast. (I cooked mine at 350 for about a half hour...maybe less....who knows? --When it's done, cut it in half, place on a bun, and add -sweet baby rays, lettuce, onion, tomato, jalapeños and whatever else you like. 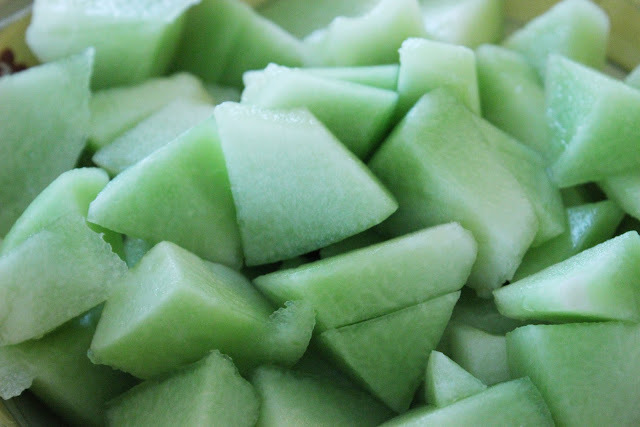 Also, we had the best honeydew ever as a side. I highly recommend that delicious melon. 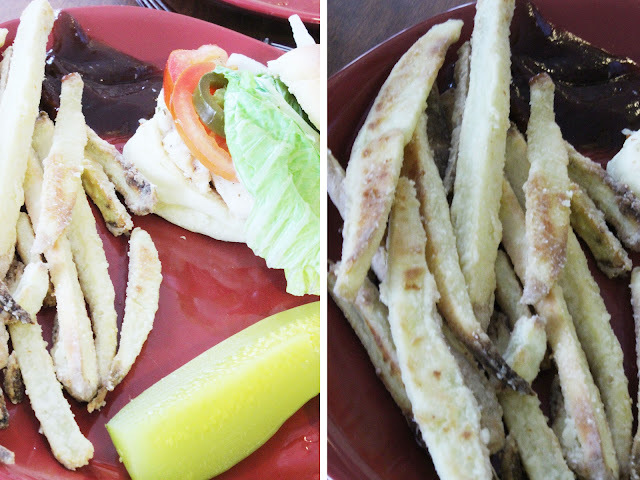 Alsoooooo, I tried making sweet potato fries for the first time. I think they would have been awesome, but I bought actual sweet potatoes. They are supposed to be made with yams. So buy yams, folks, not sweet potatoes. PS. 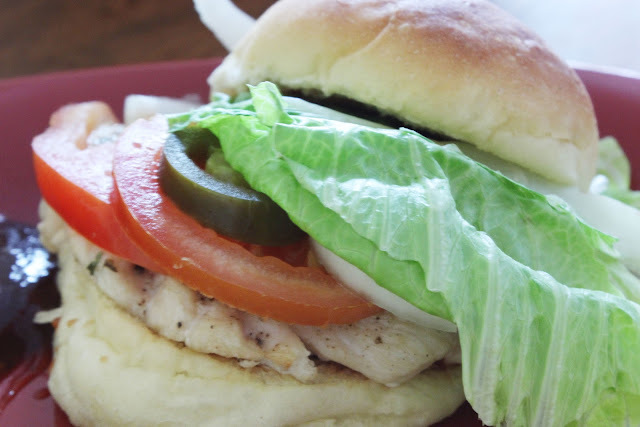 To make your grilled chicken burger as good as mine, you need the Lion House Roll Recipe. This is my go-to recipe for, well, about everything. Kelly just likes me to make rolls instead of bread. He uses them for sandwiches and everything. That recipe coming next week...if Tasty Tuesday decides to stay in town....so let her know she should stick around, because those rolls are bomb.